It's sound practice to plan ahead and proceed through a logical pattern for an efficient and well managed workflow. 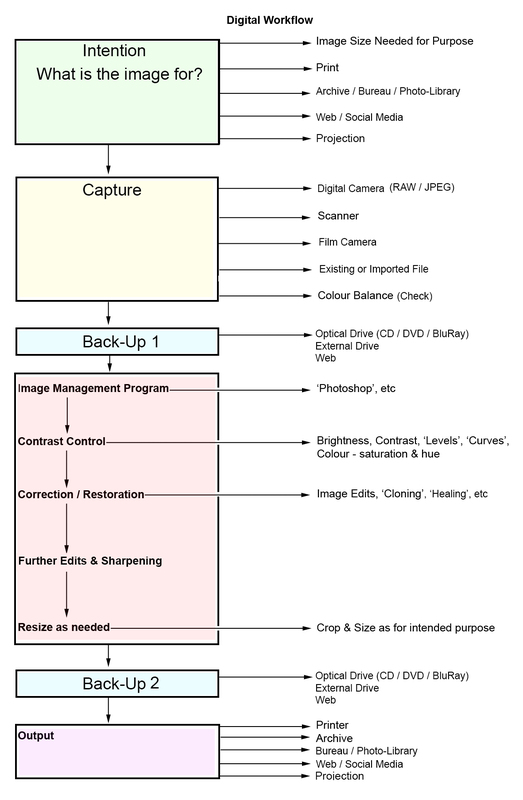 I evolved the simple chart below to present the principal stages of digital imaging workflow. Here are considerations for the intention of the image, basic image management decisions , backing-up and thoughts about 'output'.